Why is the best option? Bassinets area with 2 rooms which pediatric care have 6 beds and 3 incubators. All equipped with all the confort patients need. 3 excellent operating rooms with pre-anesthetic mechanisms and post-anesthetic recovery. Intensive care and recovery room care unit. Clinical laboratories, with rapid response equipment, and a imaging x-ray department with services such CT scan, Ultrasound, Fluroscopy, Mammography, even Dental Panoramic Imaging. Three nursing rooms for the better development of our staff. Always concerned about the comfort of the family, CMN offers its 3 waiting rooms, chapel, cafeteria and pharmacy to fill your prescriptions. In addition to 24-hour emergency stretchers six observation two clinics and diagnostic services. Why CMN is the best hospital in the region? Centro Médico del Noroeste is the only hospital in the region with medical specialized equipment for optimum treatment for each of their patients. 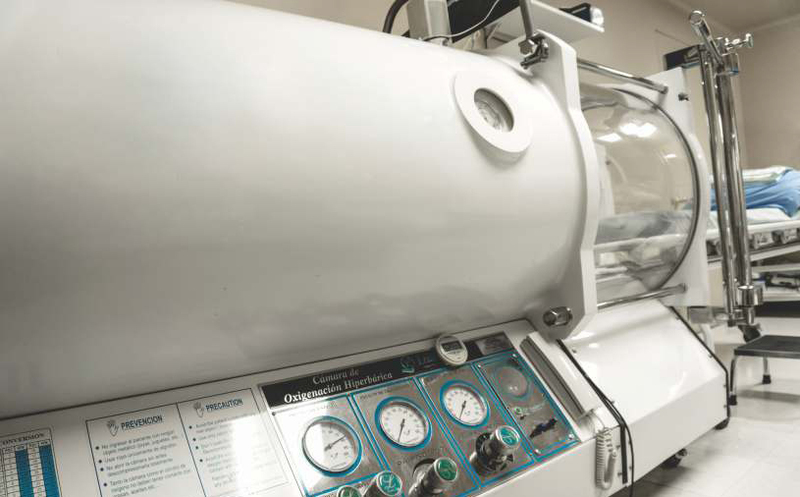 Hyperbaric oxygenation chamberIt consists of making the patient breathe 100% oxygen. 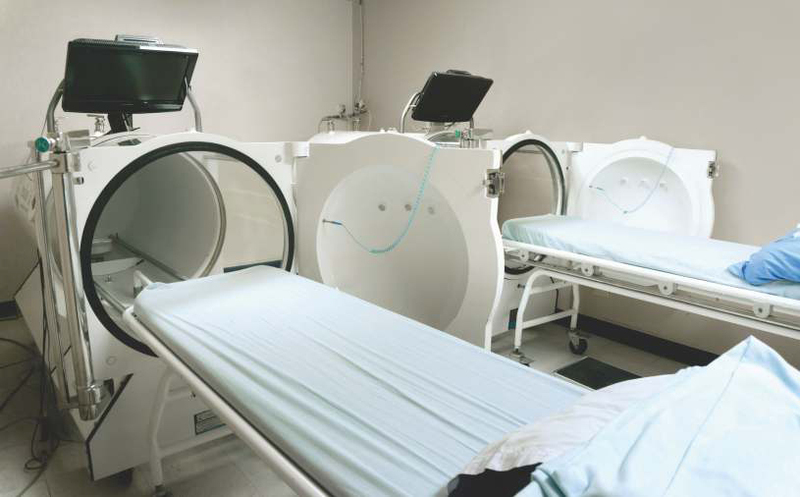 Oxygen is supplied in specialized handling equipment, is a method of treatment of orthodox medicine in which the body is submitted to a pressure above atmospheric to the patient breathes oxygen in a sealed container constructed from welded steel plates often in cylindrical form, the design is made to withstand the internal pressure greater than atmospheric pressure combining and oxygen are generated a series of physical effects. The HOBT is ideal to complement treatments: Diabetes, Alzheimer, Parkinson 's disease, multiple sclerosis, chronic fatigue syndrome, fibromyalgia, vascular, post surgical recovery, migraine, rheumatoid Arthritis and stress. HOBT's therapies are not only indicated for patients who suffer certain disease, but can be used by all persons with the purpose of revitalizing all organs, skin tone, improve and boost the immune system and thus prevent disease, stay healthy and live longer with quality. TomographyThe CT scan is a diagnostic procedure that uses a special x- ray equipment to create cross-sectional images of the body. The CT images are produced using X -ray technology and powerful computers. X ‐ray FluoroscopyThe fluoroscopy is a moving body study, similar to X -ray film a continuous x-ray beam passes through the body part so that it can be seen in detail part of the moving body. The fluoroscopy, diagnostic and imaging tool allows display means different body systems, including the skeletal, digestive, urinary, respiratory and reproductive systems.